Obama will use humor to push his message on Leno, but the White House press corps is not amused. President Barack Obama is hoping to use comedian Jay Leno's late-night show to add a light touch to his work getting the economy on track. But news photographers who cover the White House aren't laughing. The pool of media that accompanies the president wherever he goes won't be allowed into the NBC studio during Thursday's taping of that night's "The Tonight Show with Jay Leno." That pool of about 14 journalists, made up of print and radio reporters, one TV camera crew and a few still photographers, will instead be held in a separate room where a live feed from the studio will be shown. NBC has said its set is too small to accommodate the photographers and it will release a photo of its own afterward for the media to use. The White House compromised Wednesday evening, saying photographers would be allowed to take pictures during a commercial break. Photographers argued for the right to independently document the taping, a rare -- and perhaps unprecedented -- appearance by a sitting president on a late-night comedy show and an event billed primarily as a news event, not entertainment. 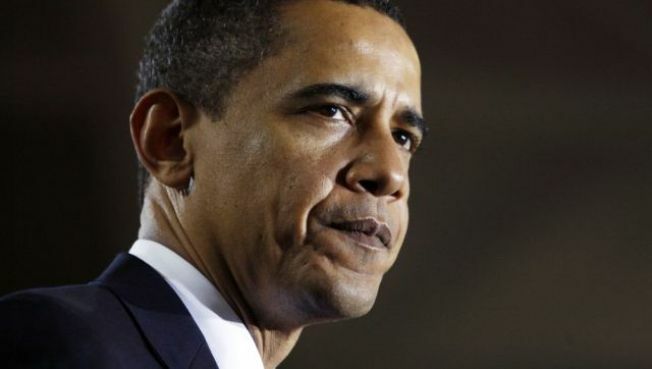 The three news agencies with photographers in the pool, The Associated Press, Reuters and Agence France-Presse, have in the past refused to distribute some White House-provided photos of Obama. Obama is doing the show as part of a two-day trip to California to highlight his economic message.